The fact that SIX draws a lot from real-life military missions is not the only reason why the show is highly rated. The stirring look at what makes an elite SEAL team and the quick life-or-death decisions made during combat also play an integral part. This is the type of show that will have you on the edge of your seat all day long. Season 2 of SIX has a total of 10 episodes, two more than the first season. In this season, the team goes on a mission to eliminate the terrorist group that was responsible for shooting their leader, Richard Taggart. For this mission, the team is led by Joe. He seeks the help of a cunning CIA agent, Gina Cline, to scour the harsh Eastern Europe region while infiltrating terrorist hotspots. They also try to track down the person behind Michael’s jihadist group. The chase takes the SEAL team to Russian territories where their military action could spark another world war. If you found the first season thrilling, then prepare for some mind-boggling action in Season 2. For viewers who want some extra character development with the intense battlefield action, the show does not disappoint. It looks into the personal life of each team member and what makes them grounded when they are far from home. 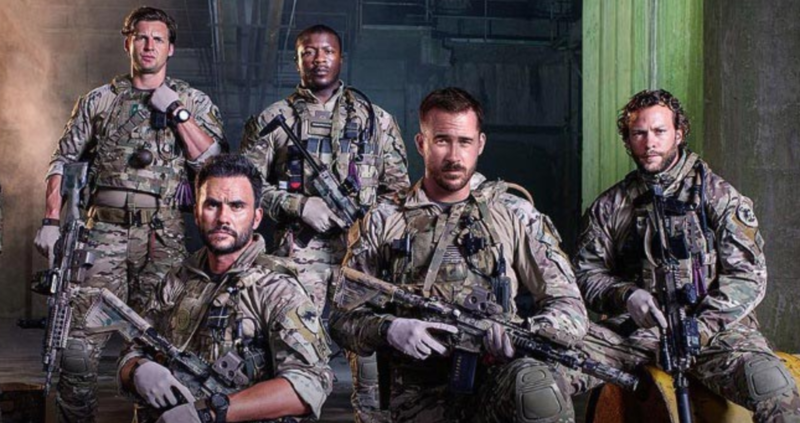 The show features an incredible cast including Walton Goggins (as Richard Taggart), Dominic Adams (as Michael Nasry), Barry Sloane (Joe Graves), Kyle Schmid (Alex Caulder), Edwin Hodge (Robert Chase III), Juan Pablo Raba (as Ricky Ortiz), Nadine Velazquez (as Jackie Ortiz), Brianne Davis (as Lena Graves), and Jaylen Moore (Armin Khan). In addition, Olivia Munn (as Gina), Nikolai Nikolaeff (Tarmelin Shishoni), and Eric Ladin (Trevor) are joining the show as regulars in the second season, with Eric Palladino (as Scott Hughes) as a recurring character. Now that the new season of SIX is on STARZ PLAY, you don’t have to miss out on the action. Subscribe today for this and more!